OneRepublic have revealed their new music video for 'Connection'. The Grammy-nominated rockers - made up of Ryan Tedder, Zach Filkins, Drew Brown, Brent Kutzle and Eddie Fisher - unveiled the promo clip to support their latest single, which was made available to stream and download online earlier this summer. Directed by Joel Pront and choreographed by Matthew Peacock, the video was shot at The Oculus, which is New York City's newest addition to the 9/11 memorial and gave the release a profound feeling. Focused on the differences between the digital world and reality, the clip starts in black and white before later bursting into full colour as they perform in the middle of the building. In the chorus of the anthemic track - which also features in Jeep's annual Summer of Jeep campaign - Tedder sings: "Can I get a connection? Can I get, can I get a connection?" 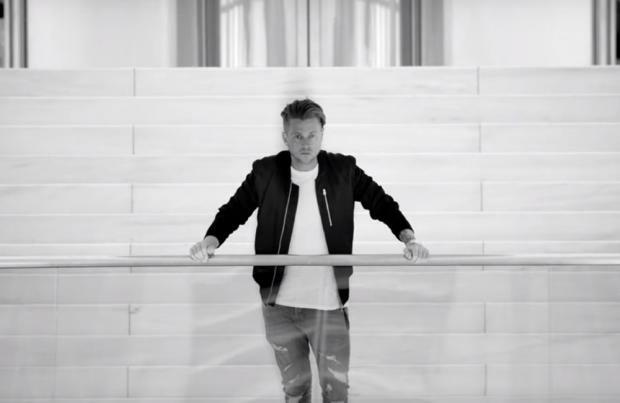 The band revealed the video to their fans on social media this week, and thanked the fans who came to be part of the shoot as extras for the live performance. In a post on Twitter, they wrote: "Excited to share the official video for Connection. Was awesome to film this in the Oculus Building, huge thank you to all the fans who got involved. Enjoy!" 'Connection' was released earlier this year, making it the band's second single of 2018 following on from their 'Start Again' collaboration with 'Logic'. Although the group are yet to release a follow-up to 2016's 'On My Way', they kept busy in 2017 with the release of non-album singles like 'No Vacancy' and 'Rich Love'.